A journalist embarks on a project to discover what it takes to love where you live. The average restless American will move 11.7 times in a lifetime. For Melody Warnick, it was move #6, from Austin, Texas, to Blacksburg, Virginia, that threatened to unhinge her. In the lonely aftermath of unpacking, she wondered: Aren’t we supposed to put down roots at some point? How does the place we live become the place we want to stay? This time, she had an epiphany. Rather than hold her breath and hope this new town would be her family’s perfect fit, she would figure out how to fall in love with it—no matter what. Popular blogger and self-taught decorator Myquillyn Smith (The Nester), helps readers accept and find beauty in imperfection, and find the freedom to take risks to create the home—and life—they’ve always wanted. This beautiful four-color book is full of photos and creative, easy ideas for arranging, decorating, and building a welcoming home. Drawing on her years of experience creating beauty in her 13 different homes, Myquillyn will show you how to think differently about the true purpose of your home and simply and creatively tailor it to reflect you and your unique style—without breaking the bank or stressing over comparisons. Whether installing Japanese solar panels, defending the goats he found on Craigslist against coyotes, or co-opting waste oil from the local Chinese restaurant to try and fill the new “veggie oil” tank in his ROAT (short for Ridiculously Oversized American Truck), Fine’s extraordinary undertaking makes one thing clear: It ain’t easy being green. In fact, his journey uncovers a slew of surprising facts about alternative energy, organic and locally grown food, and climate change. 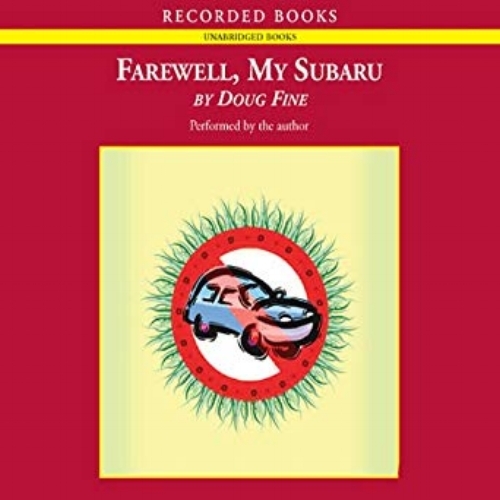 Both a hilarious romp and an inspiring call to action, Farewell, My Subaru makes a profound statement about trading today’s instant gratifications for a deeper, more enduring kind of satisfaction. We are all born wanting to connect! We get a stronger sense of happiness, self-worth, and purpose in our lives when we are connected with others through "rapport." Having connections also have additional amenities: strong alliance support to progress through life or in times of need, better professional opportunities and faster career advancements, and larger social circle to enjoy a more enriching life. "Rapport" goes in full-depth with everything you need to know about rapport and how to create it. If you're lacking in connections or having problem connecting with people and establishing relationships, you can't afford not to be able to create rapport with others. Know how to use the art of rapport to improve your life. 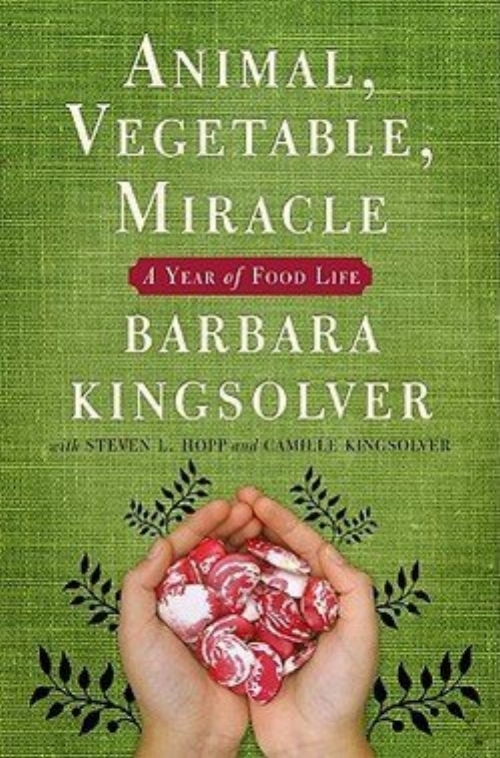 Part memoir, part journalistic investigation, Animal, Vegetable, Miracle is an enthralling narrative that will open your eyes in a hundred new ways to an old truth: You are what you eat.Author Barbara Kingsolver and her family abandoned the industrial-food pipeline to live a rural life—vowing that, for one year, they’d only buy food raised in their own neighborhood, grow it themselves, or learn to live without it. Geneen Roth's pioneering books were among the first to link overeating and compulsive dieting with deeply personal issues that go far beyond weight and body image. Now, in this fun, practical book, she helps readers radically shift their relationships with food and find more life-affirming ways to care for themselves. With an exhilarating combination of intelligence and wicked good humor, she offers bite-sized pieces of invaluable wisdom. It's an unquestioned truth of modern life: we are starved for time. We tell ourselves we'd like to read more, get to the gym regularly, try new hobbies, and accomplish all kinds of goals. But then we give up because there just aren't enough hours to do it all. Vanderkam shows that with a little examination and prioritizing, you'll find it is possible to sleep eight hours a night, exercise five days a week, take piano lessons, and write a novel without giving up quality time for work, family, and other things that really matter. So if habits are a key to change, then what we really need to know is: How do we change our habits? Better than Before answers that question. It presents a practical, concrete framework to allow readers to understand their habits—and to change them for good. 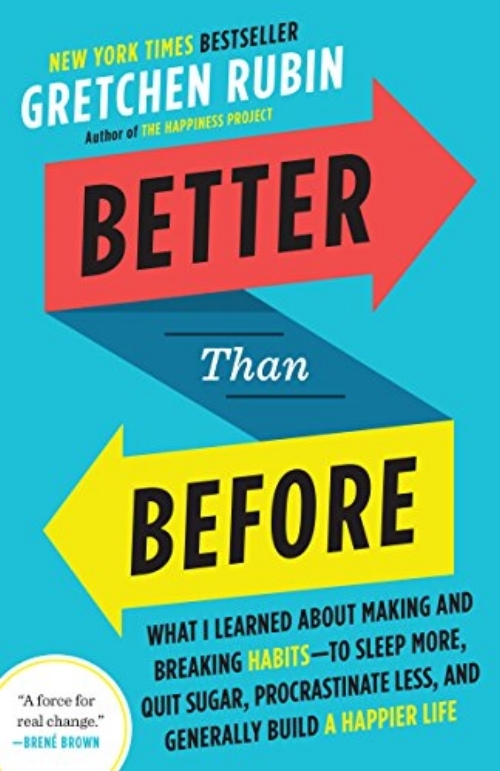 Infused with Rubin’s compelling voice, rigorous research, and easy humor, and packed with vivid stories of lives transformed, Better than Before explains the (sometimes counter-intuitive) core principles of habit formation. Every woman is searching for a happier, healthier, more fulfilling life. Many realize the significant role that an intimate, tightly knit circle of friends plays in creating a more fulfilling life, but with hectic schedules, frequent moves, and life changes, it’s more important than ever for women to establish natural, meaningful friendships that will contribute to their overall wellbeing. In Friendships Don’t Just Happen!, Shasta Nelson, friendship expert and CEO of GirlFriendCircles.com, reveals the most important proven steps, processes, and secrets vital to establishing the five different levels of friendships, or Circles of Connectedness, that women—no matter their age or relationship status—are longing for in today’s stressful and mobile culture. In Eat the Yolks, Liz Wolfe doesn’t just make a case for eating the whole egg. She uncovers the shocking lies we’ve been told about fat, cholesterol, protein, carbs, and calories and brings us the truth about which foods are healthy—and which foods are really harming us. You’ll learn truths like: fat and cholesterol are crucial, not harmful; why - “whole grains” are processed foods; what to eat instead of counting calories; what we actually should be tracking; all animal products are not created equal and which ones we truly need; nutrition doesn’t come in a box, bag, or capsule; and why there’s no substitute for real food! Overwhelmed is a book about time pressure and modern life. Author Brigid Schulte, began the journey quite by accident, after a time-use researcher insisted that she, like all American women, had 30 hours of leisure each week. Stunned, she accepted his challenge to keep time diary and began a journey. Along the way, she was driven by two questions, Why are things the way they are? and, How can they be better? The book both outlines the structural and policy changes needed and mines the latest human performance and motivation science to show the way out of the overwhelm and toward a state that time use researchers call... Time Serenity. Click here to read book review. Helping people at work and at home balance stress and recovery and sustain high performance despite crushing workloads and 24/7 demands on their time. Combines the gritty tough mindedness of the best coaches with the gentle-but-insistent inspiration of the most effective spiritual advisers. The Power of Full Engagement is a highly practical, scientifically based approach to managing your energy more skillfully both on and off the job by laying out the key training principles and provides a powerful, step-by-step program. Above all, this book provides a life-changing road map to becoming more fully engaged on and off the job, meaning physically energized, emotionally connected, mentally focused, and spiritually aligned. Ever felt tongue tied during a parent-teacher conference? Struggled to write an email that gets you what you want and keep the teacher on your side? Talk to the Teacher solves these common school struggles with done-for-you parent-teacher meeting scripts, email templates, and talking point. Always know the right questions to ask at meetings. Send perfect emails that build amazing parent-teacher relationships. Talk to the Teacher is the perfect book for parents at all ages and stages of the K-12 journey! Like many military couples, Corie and her husband, Matt, an Army chaplain, accumulated significant unshared moments during Matt’s deployments. Matt lost friends and fellow soldiers to combat in Afghanistan. On the home front, Corie sat with bereaved military families and walked through dark days with new widows as a friend and professional counselor. Corie said 'yes' to visiting Afghanistan with the Secretary of Defense, hoping to gain a better understanding of her husband’s deployment experience and lessen the impact sacred spaces had on her marriage. Corie set out on this trip hoping to gain a better understanding of her husband and his deployment experience, but along the way, she discovered a whole new perspective of herself and her military marriage. By sharing her story, Corie hopes to help other military couples strengthen their marriages. A comprehensive strength, conditioning and nutrition plan destined to revolutionize the way women work out. All the latest studies prove that strength training, not aerobics, provides the key to losing fat and building a fit, strong body. This book refutes the misconception that women will "bulk up" if they lift heavy weights. Properly conditioned muscles increase metabolism and promote weight loss -- it's that simple. The program demands that women put down the "Barbie" weights, step away from the treadmill and begin a strength and conditioning regime for the natural athlete in every woman. The New Rules of Lifting for Women will change the way women see fitness, nutrition and their own bodies. Covering everything from basic postures to relaxation techniques to avoiding common injuries, The Women's Health Big Book of Yoga is the only guide readers need to achieve their fittest, healthiest, happiest selves. Nightline anchor Dan Harris embarks on an unexpected, hilarious, and deeply skeptical odyssey through the strange worlds of spirituality and self-help, and discovers a way to get happier that is truly achievable. We all have a voice in our head. It’s what has us losing our temper unnecessarily, checking our email compulsively, eating when we’re not hungry, and fixating on the past and the future at the expense of the present. Most of us would assume we’re stuck with this voice – that there’s nothing we can do to rein it in – but Harris stumbled upon an effective way to do just that. It’s a far cry from the miracle cures peddled by the self-help swamis he met; instead, it’s something he always assumed to be either impossible or useless: meditation. 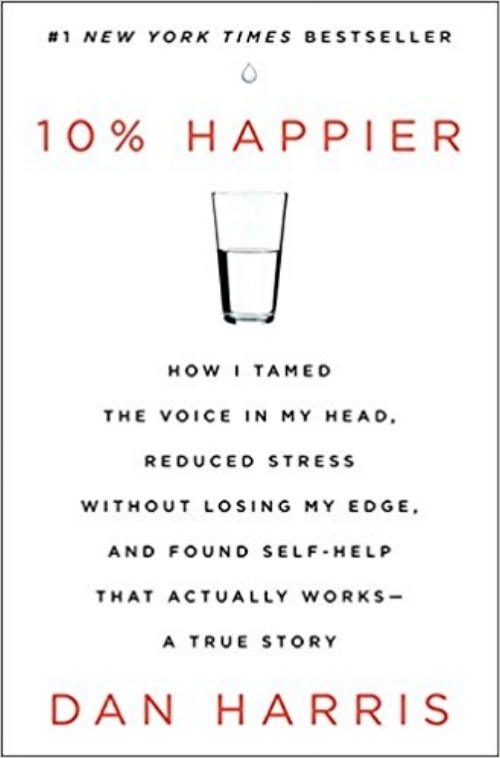 10% Happier takes readers on a ride from the outer reaches of neuroscience to the inner sanctum of network news to the bizarre fringes of America’s spiritual scene, and leaves them with a takeaway that could actually change their lives. The greatest athletic performances spring from the mind, not the body. Elite athletes have known this for decades and now science is learning why it’s true. In his fascinating new book How Bad Do You Want It?, coach Matt Fitzgerald examines more than a dozen pivotal races to discover the surprising ways elite athletes strengthen their mental toughness. The new psychobiological model of endurance performance shows that the most important question in endurance sports is: how bad do you want it? Fitzgerald’s fascinating book will forever change how you answer this question and show you how to master the psychology of mind over muscle. These lessons will help you push back your limits and uncover your full potential. In her late twenties, Cait Flanders found herself stuck in the consumerism cycle that grips so many of us: earn more, buy more, want more, rinse, repeat. Even after she worked her way out of nearly $30,000 of consumer debt, her old habits took hold again. When she realized that nothing she was doing or buying was making her happy--only keeping her from meeting her goals--she decided to set herself a challenge: she would not shop for an entire year. 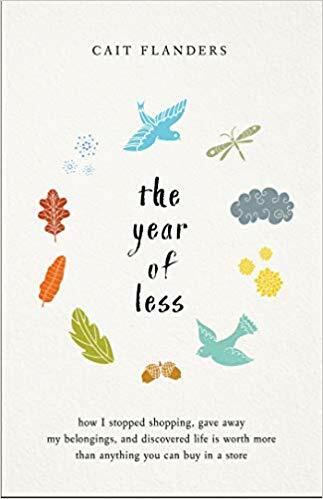 Blending Cait's compelling story with inspiring insight and practical guidance, The Year of Less will leave you questioning what you're holding on to in your own life--and, quite possibly, lead you to find your own path of less. Ask successful women what they want from their money and they'll tell you: independence, security, choices, a better world, and--oh yes--way less stress, not just for themselves but for their kids, partners, parents, and friends. Through a series of HerMoney Happy Hour discussions (when money is the topic, wine helps) and one-on-one conversations, Jean Chatzky gets women to open up about the one topic we still never talk about. Then she flips the script and charts a pathway to this joyful, purpose-filled life that today's women not only want, but also, finally, have the resources to afford.